The South Essex gymnastics club in Basildon is where the current world champion Max Whitlock learnt his trade - but it's now developing talent for the circus industry. 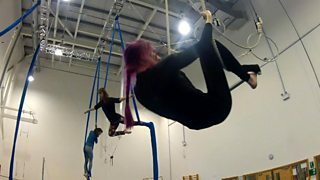 It's become the first gymnastics club in the country to launch a course in aerial circus skills - a great new way to keep fit. If you've been inspired to have a go at something, why not look at our full list of activity guides.